Hi.. HNDMD followers Swapna here with my first post here. I am very happy to be part of the team, its a wonderful feeling. 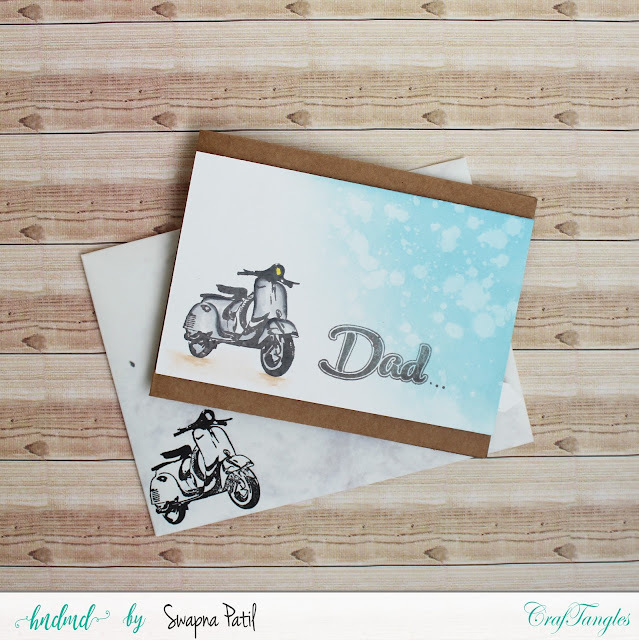 Its always challenging to me to use such masculine images on cards. I scored the card base. Mixed embossing paste and gold shimmer and applied it through the stencil on card front. 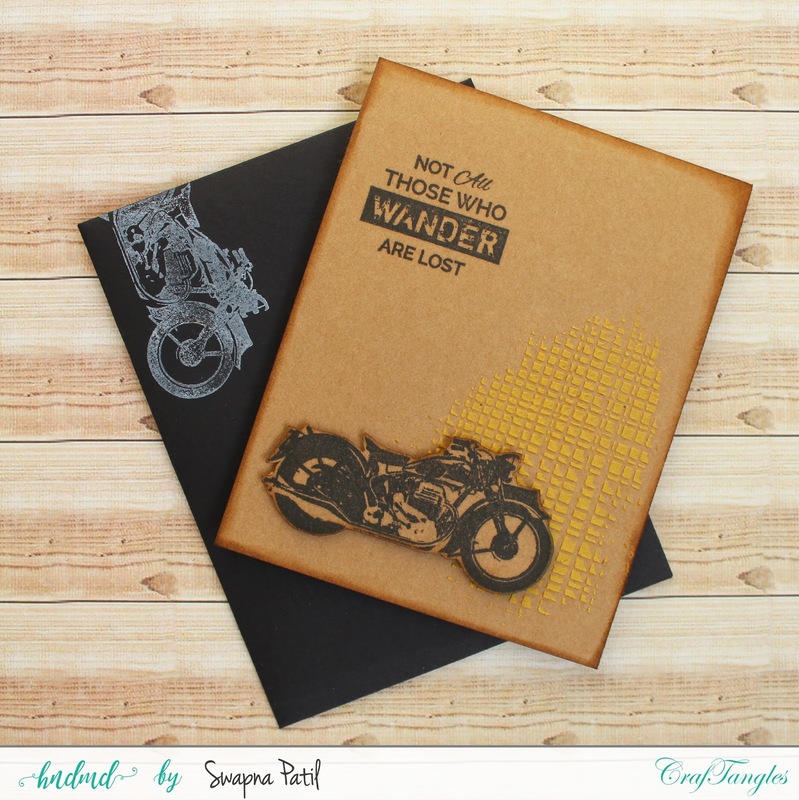 Stamped sentiment with black ink and stamped the bike image on another piece of card stock, fussy cut it out. I sponged the image and card front. 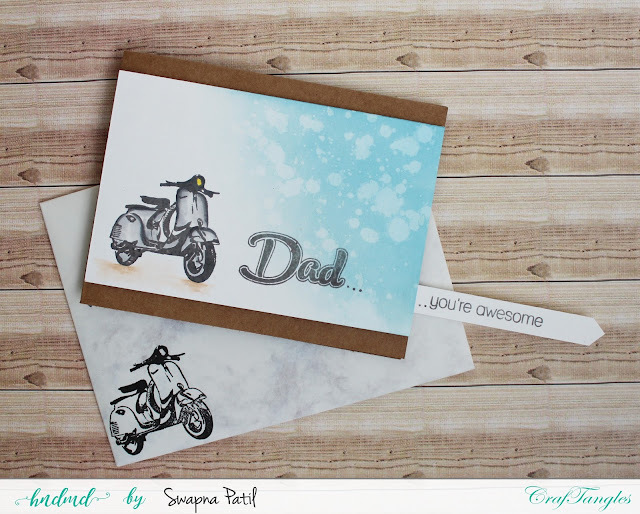 I made the matching envelope and stamped image on it with white pigment ink. I stamped the card image with a grey ink on white card front. 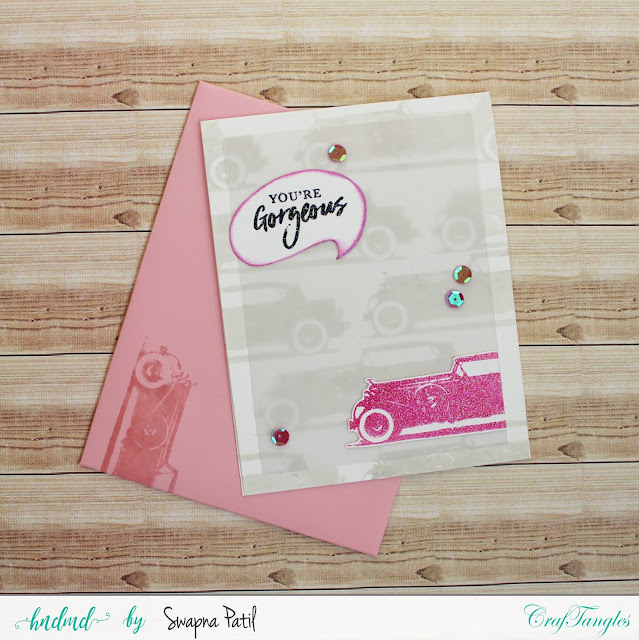 Stamped the same image on another piece of card stock with pink ink, then stamped with versamark ink and heat embossed with iridescent embossing powder. Fussy cut the image out. Stamped and heat embossed sentiment and cut in shape of speech bubble, inked the edges. I glued car image and sentiment on a vellum, then glued it on card base. Added few sequins to bling it up. Its my favourite among the three. I used distress inks and applied on one corner of the white piece of card stock, sprayed few drops of water and lifted it with paper towel. Stamped image with a grey ink and coloured with zig marker. Then stamped sentiment with same ink. I stamped other part of sentiment on another white strip and made the channel for it. This is how the card reveals the full sentiment. Foam mounted the panel on kraft card base.